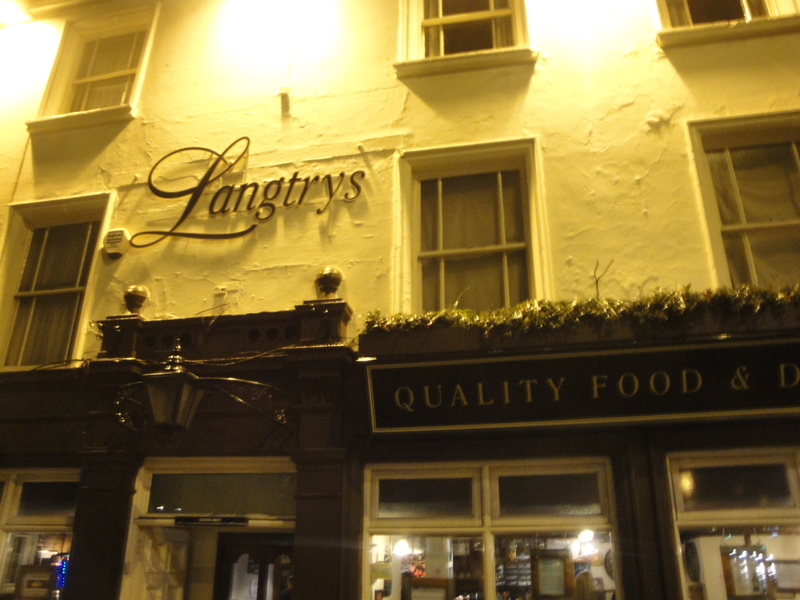 Langtrys Pub in Nottingham is up on South Sherwood Street right next to the Cornerhouse Centre and across the road from the Royal Centre. 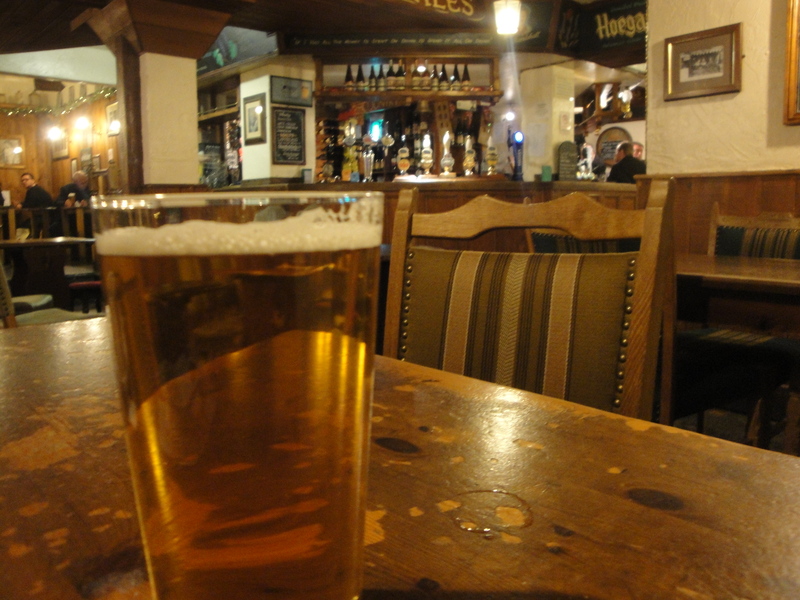 It is another of those pubs that we use as a regular meeting point before a Friday night food or beer hunt and for some bizarre reason have never got around to eating there. We usually walk in on the hope of a pint of Deuchars ale which they seem to have on occasion as one of eight on their rotating beer list. It is never on enough to make us regulars though. Over the last few months each time we visit, we have sat and perused the menu, before moving on. I kept on seeing the pulled pork sandwich on there, salivated quite badly, but still had not returned to devour one. Looking back through the photos and notes on my blackberry I found 4 different photos of that menu item from different days, plus a couple of ‘notes to self’ where I had typed it into the phone. It really was about time that I actually made the effort to buy one then! The menu describes it as “Pulled Pork in Thirsty Farmer Cider” – Outdoor reared local pork, braised for up to 8 hours until succulent! Served with sage and onion stuffing and our apple and real cider chutney served in a soft bap’. Well as you can imagine that all ‘sounds’ pretty delicious and impressive so it is not hard to see how one could be drawn back into the place to taste one. When it arrived it certainly looked pretty good on the plate, and it also came with a bonus little chopped side salad and a pot of chips. I have to be brutally honest and say that the best bit was how it looked, it did have a good taste, but sadly mine was a bit dry and not as juicy as I was hoping for. Given the description one could be forgiven for imagining juice running down your chin as you took each bite. I don’t know if I was just unlucky or if it was because I was dining on a Monday which is always a bad day to dine out as that is often the day that chef gets off for good behavior. I didn’t really feel that my pulled pork had just come out of that braising pan this morning lets put it that way. If I am wrong then I would be taking a long hard look at that pan. Putting all that to one side, some of the component parts were good. The stuffing was a bit soft but had some flavor. The pork itself did have a reasonable taste, but the best thing was probably that ‘apple and real cider chutney’. That was really quite decent and, as it was presented, did indeed merit it’s own bowl. I suspect it was offered a chance to jump in the sandwich with the stuffing and the pork, took one look and said no thanks I will just sit over here until someone notices me and gives me a chance to make this meal happen. This was close to being a really good Pulled Pork sandwich, but today it did not quite manage to live up to it’s descriptive hype. I suppose that sound a bit of a gloomy summation on the food front, but don’t be put off there are quite a few things on the menu that might work out for you. I also quite liked the sound of the “Home made sausage and blue monkey casserole” not made with actual monkeys but actually it turns out to be ‘Farmer Fear sausages in a delicious Blue Monkey beer casserole with root vegetables, pulse and a touch of chilli served with creamy champ‘. I have had a pint of that Blue Monkey beer and it is pretty good. I also like sausages too, which might suggest that another offering from the menu the “Farmers Fear sausage and mash – locally crafted outdoor bred pork sausages and creamy mash potato topped with mature cheddar, gravy and tobacco onions’ might appease my pulled pork disappointment. If nothing else it is clear that the person who writes the menu has quite the gift as all the meals sound to be quite special indeed. Langtrys is on South Sherwood street within easy walking from the Royal Centre Tram stop and only a few minutes walk up from the Old Market Square. It can have really good beer, but it does not always deliver on my particular favourites, but you will probably find something there that you like. Being so close to the theatre and the cinema, it can get busy just after show closes so if suddenly you find yourself swamped by people that is probably the best time to beat a hasty retreat. This pub is also stop number 19 in the Route to Real ale guide and is worth stopping at just to drink a pint and tick one more of that list.